Rev. Dr. Mitri Raheb is founder & president of Dar al-Kalima University of Arts and Culture in Bethlehem, Palestine. Join us for remarks from Rev. Raheb and enjoy a complimentary meal. Featuring Rev. Jim Winkler, President of National Council of Churches, Rev. Dr. Mae Cannon of Churches for Middle East Peace, Sojourners’ Founder and President Jim Wallis, and Bright Stars of Bethlehem President, Rev. Dr. Mitri Raheb. As part of the Room for Hope festival, The Jerusalem Conference is a one-day conference on Thursday, October 11, that brings together scholars, ecumenical theologians, and peace-doers around the topic. Bishop Mike Rinehart, Gulf Coast Synod, ELCA, will also be participating. Resourceful Servants kicks off its second year! Financial wellness is a vital component in our endeavor to live well. As our church leaders, your financial wellness benefits all of us. Resourceful Servants encourages practical steps and services to help rostered leaders address their financial needs – including resources and matching programs to assist with emergency and retirement savings. Entering our second year, we are hopeful the impact of the Resourceful Servants program on you and our church can be even greater than it was in the first year. The due date to complete the Financial Wellness Assessment and the program application is October 14, 2018. Find out more about the Resourceful Servants Savings Matching programs. Sunday, 14 October 2018, 4:00 P.M. The Lecturer, the Rev. Dr. Leopoldo A. Sánchez M.
Lt. Gen. (Ret.) Rick Lynch – He is formerly the commanding officer of Fort Hood and an active member of Immanuel, Killeen. He is the author of two books Adapt or Die: Leadership Principles of an American General and Work Hard Pray Hard: The Power of Faith in Action. As a speaker, he is in demand across the world for the unique blending of his experiences, faith, and knowledge of the principles of adaptive leadership. He will speak particularly on the challenges of leading adaptively in times of anxiety and change. The learning will be focused on informing and equipping leaders to understand the concepts of adaptive leadership particularly in anxious settings. This event is open to rostered leaders, spouses, lay members of congregations, and ecumenical colleagues. The planned schedule, costs, registration, and more information can be found online: NT-NL Leadership Convocation. 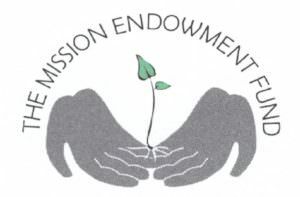 Saturday, October 20, 2018, 4:00-7:00 p.m.
For consideration for funding in 2019, the Mission Endowment Fund (MEF) grant application is due by October 30, 2018. Click here to access the application guidelines for 2019. Access the online grant application here. One of Bethany College’s core initiatives on the five-year strategic plan is to institute a Visiting Pastor Program. Bethany recognizes the value of creating relationships with pastors. By honoring their skills and abilities, Bethany wants to recognize the value a pastor can bring to the college community. Therefore, Bethany College is inviting all Evangelical Lutheran Church in America rostered leaders, including pastors, youth leaders, and church musicians to spend up to three days on the Bethany College campus in Lindsborg, KS. Can you believe it?! It’s that time again! See our 2019 Synod Assembly event page for 2019 Assembly Fees, Hotel information, Deadlines, etc. All updates will be posted here.